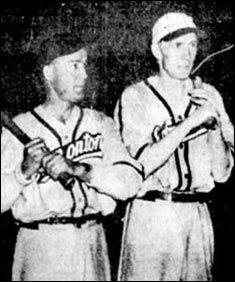 Above, left to right - shorstop Woody Huckabay of Calgary Purity, outfielder Jimmy Lowe Purity, and, 2nd from the right, catcher Ken Samis (left) and outfielder Dave Brockie of Edmonton Eskimos. 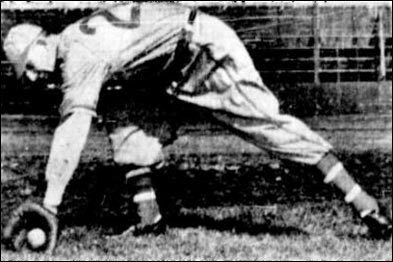 Below left - Calgary Buffaloes shortstop Charlie Stroulger and (right) Buffs first sacker Babe Work. 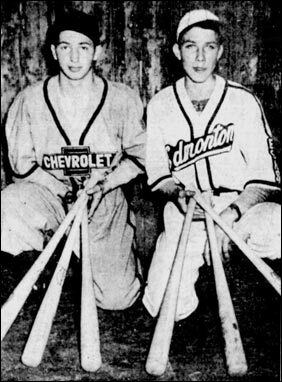 Brothers Ernie (left) and Roy Porkka (right) , who played in Southern Alberta with the Foremost Braves and Picture Butte Royals & Indians in the late 40's and early 50's.
" 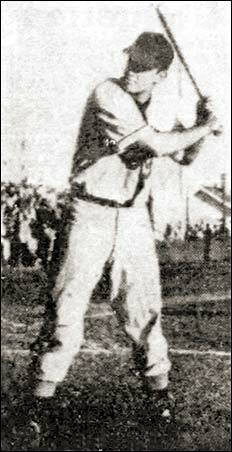 ... Picture Butte was represented by an older team, the ROYALS. 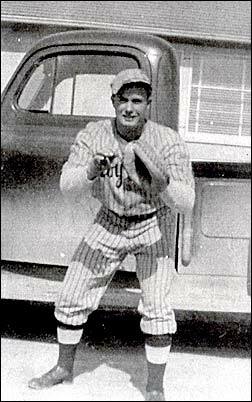 They wouldn't let any of the younger players onto the team and Harry Watson, a businessman in town, put together a team of younger players and others who could not get on to the Royals and took their cast off uniforms. This new team competed around Southern Alberta for a year at various tournaments and made enough money to buy new uniforms the following year. This new team was the INDIANS. In the next year there was a big playoff to see who would represent Picture Butte and the Indians won." 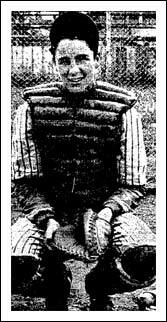 Left - 17-year-old Del St. John as a junior with Pincher Creek in 1948. 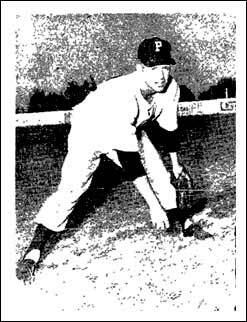 Right - Lethbridge's Joe Tufteland, signed by the Dodgers, went 18-2, 2.29 in his pro debut with Ponca City of the KOM League. Left - Even the batboys had their 15 minutes of fame. 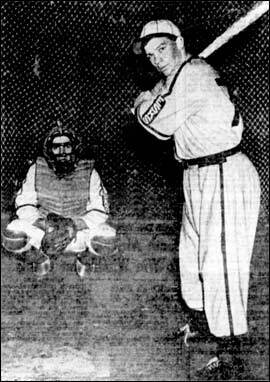 In May, 1948, the Edmonton Journal carried a photo of Edmonton batboys Lefty Simovitch of the Edmonton Cubs (left) and Myron Kupnowicki of the Eskimos. The boys were selected after being judged winners of an essay contest, "Why I want to be a bat boy at Renfew Park". 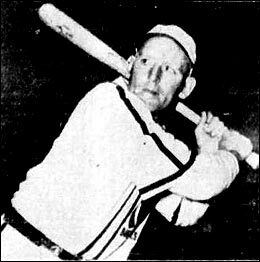 Right - Don Menzies of the Lethbride Reos of the Southern Alberta League. 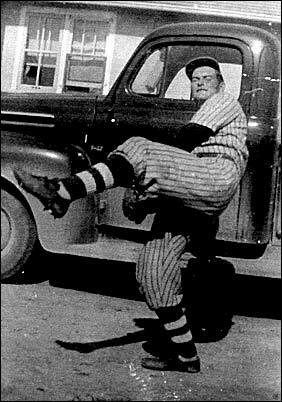 Below left - Young Colin Kilburn, a local baseball and hockey star, gets a tryout with the Edmonton Eskimos of the Big Four league. 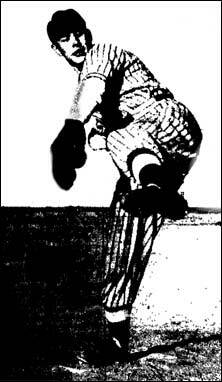 The catcher is the Esks playing manager Eddie Morris. Below right - Catche Ernie Choukalos of Calgary Purity 99. Choukalos, who also played football with the Calgary Stampeders, went on to a pro career in baseball.